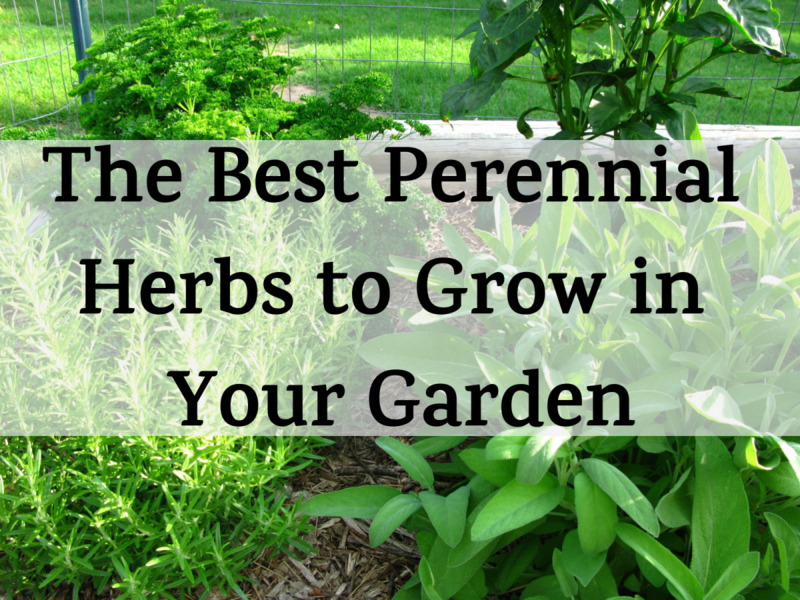 Kari Spencer is a Master Gardener volunteer and a local gardening and homesteading speaker. Her family operates The Micro Farm Project. When you consider corn, what comes to mind? A common yellow vegetable? A healthy snack? Or a crop grown for livestock feed and fuel? How about a beautiful piece of art? That's what your impression may be the first time you see glass gem corn, a surprising variety which appears to be a cob full of gemstones of every color. 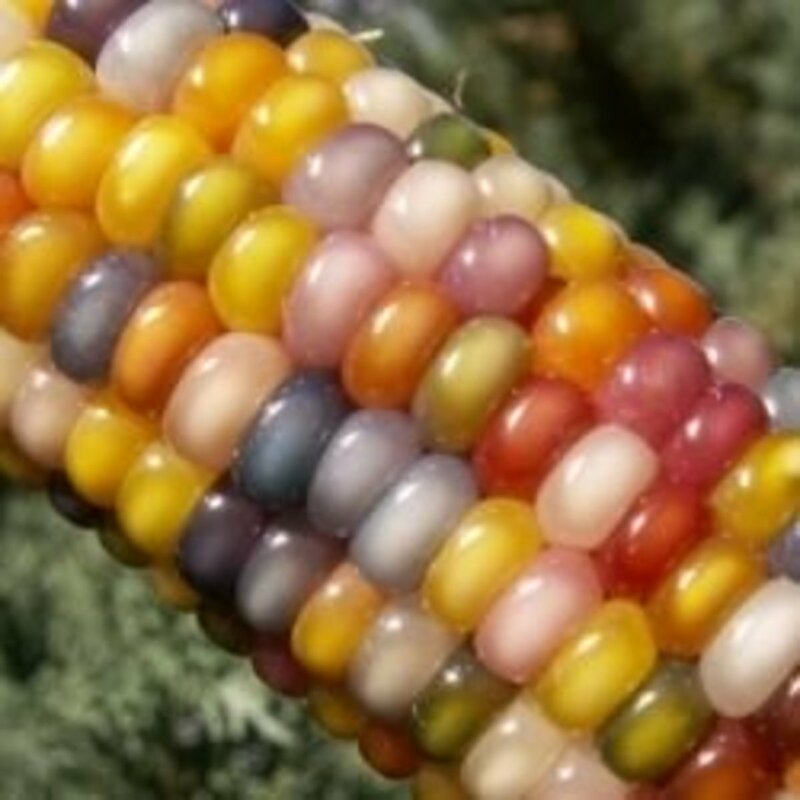 This is no trick of Photoshop, but the most beautiful and surprising corn variety in the world! 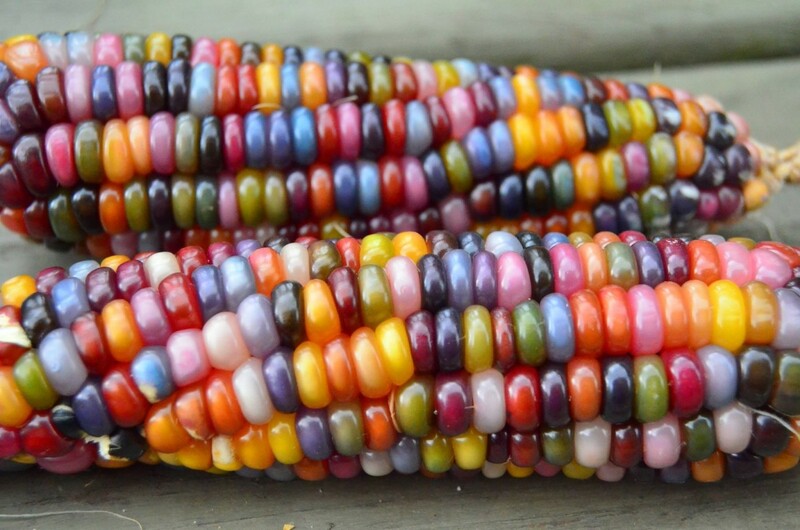 Glass gem is non-GMO heirloom rainbow corn variety that actually comes in many colors. It is best used for cornmeal, as opposed to slathering with butter at the dinner table. It is also a marginally decent popping corn. It is a long season variety, requiring 110 days to reach maturity. The height of the stalks is roughly 6 feet tall. Prior to 2011, glass gem corn was a variety that was undiscovered to modern agriculture, and it may have remained lost if not for a fortuitous twist of fate. A seedsman named Greg Schoen received corn seeds from his "corn teacher" Carl Barnes, who had spent years studying and working with corn varieties. A part-Cherokee man is in his mid-80s from Oklahoma, Carl studied corn varieties extensively and reintroduced many ancient and traditional varieties that had been lost to Native Tribes. Though Greg and his friend Jose Lucero get the credit for the first modern, large-scale cultivation of the variety, it initially remained part of Greg's private seed collection that he shared periodically with others with the intention of keeping the variety alive. It may not have been introduced widely to the world had Greg not decided to move in 2010. In order to store and protect his precious seed collection, Greg entrusted several different samples of corn seed with Seeds Trust, a 25-year-old, family-owned heirloom and open-pollinated seed company, including the glass gem corn seeds. In 2011, Bill McDormann, president of Seeds Trust, grew some of the corn that Greg had entrusted to them with amazing results. Photos of the beautiful corn were posted on the internet, and they spread like wildfire. Unbeknownst to Bill, who did not foresee how gorgeous the crop would be and had not grown a large enough supply for sale, a public clamoring for the seeds was about to ensue. A few private individuals are just now beginning to offer seeds for sale, however. As individuals begin to grow this variety and it becomes more common, hopefully the seeds will become more widely available to the public. 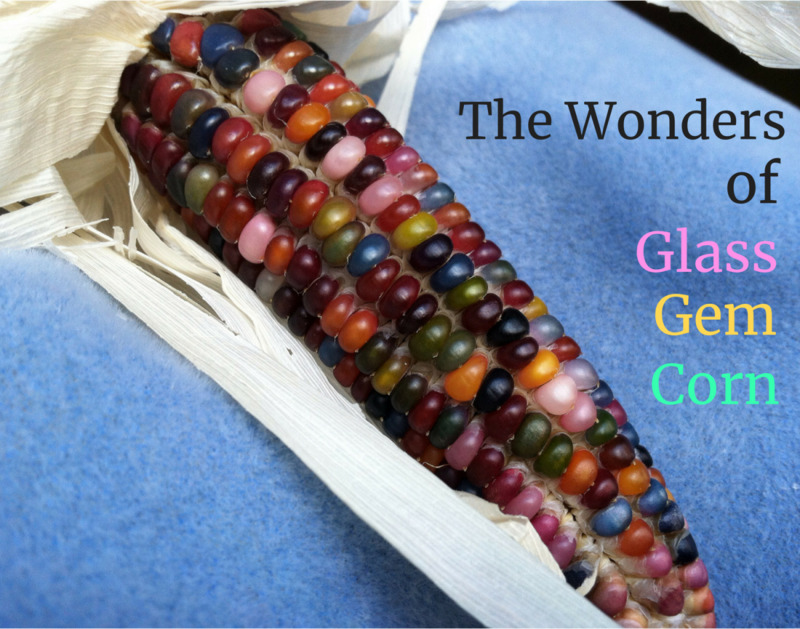 Note: You can learn more about glass gem corn and its history at Mother Earth News. What Gives Glass Gem Corn Its Rainbow Colors? 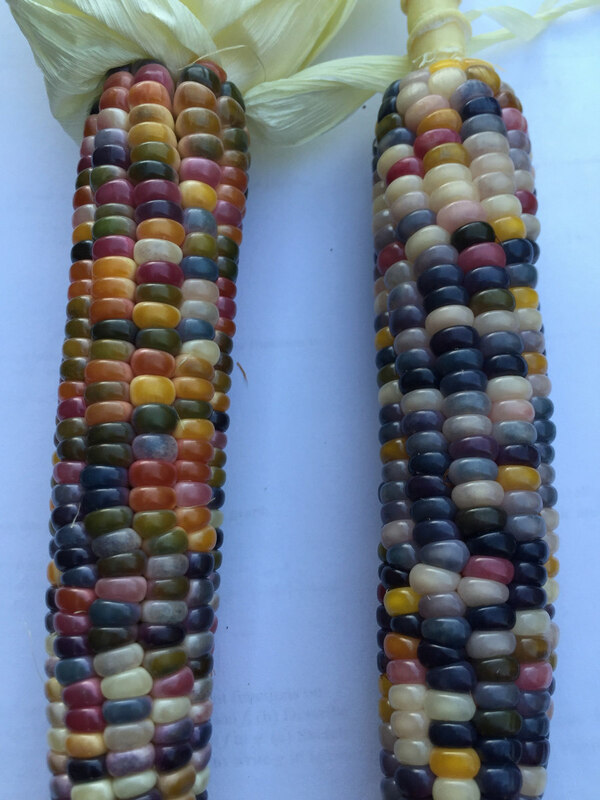 How do so many vibrant and diverse colors appear on a single ear of corn? The answer lies in an odd phenomenon of genetic inheritance that does not follow Mendel’s rules. Each kernel is actually a different corn plant (or the seed of one) with a unique mix of genes inherited from its parents. Diversity is increased further via transposons, or “jumping genes,” which are strands of DNA that move from place to place in the genome. When they land in a gene for pigment, the color of that cell is altered, producing kernels of a particular color that may be specked or streaked with a second color. The result is a brilliant display of agricultural biodiversity and the beauty of nature. Though corn takes up a large amount of space in the garden, nothing beats biting into a freshly-picked ear of sweet corn or grinding your own meal for cornbread and tortillas. Whether your choose to grow sweet corn, grinding corn, or ornamental corn, following these guidelines will help to ensure a bountiful harvest. 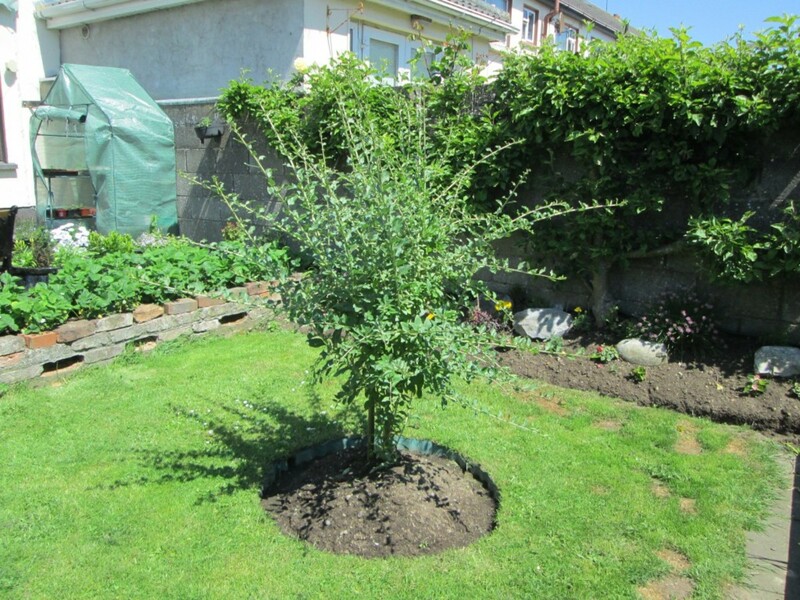 Plant in full sun in richly composted soil. Corn is a heavy feeder, requiring copious amounts of nitrogen. Companion plant the area with nitrogen-fixing beans, clover, or hairy vetch. Plant corn in blocks of at least three rows to promote good pollination and kernel formation. Though corn is pollinated by wind, provide protection from strong winds that may damage the stalks. To avoid cross-pollination, keep different corn cultivars 400 or more yards apart. This is especially important for supersweet varieties. 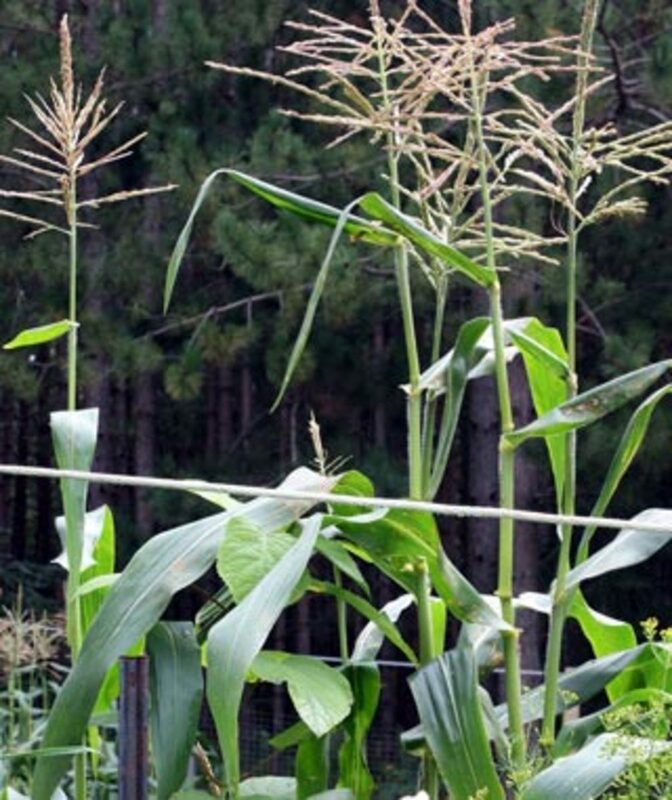 For most home gardeners, this means that only one variety of corn should be tasseling at any given time. When planning how much corn to plant, a general guideline is 10–15 plants per person who will be eating the corn. 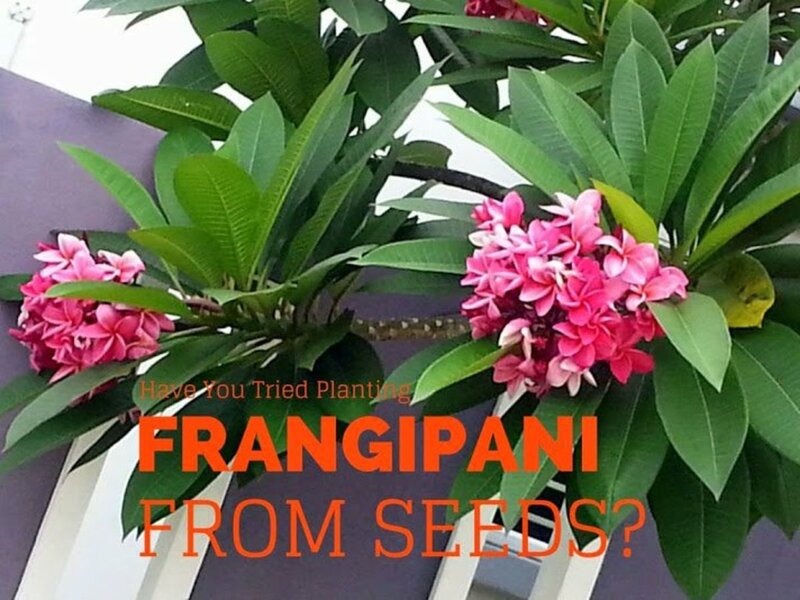 To extend your harvest, plant early, mid-season, and late types at the same time, or successively plant early varieties every few weeks. 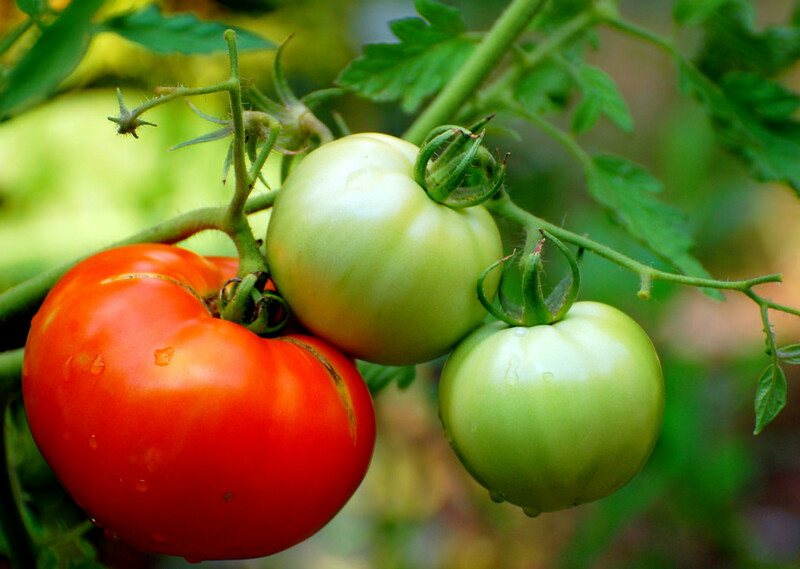 Choose a short season variety if your warm growing season is fewer than 100 days. Corn does not transplant well. But if you start a long season variety indoors, you can transplant it carefully to avoid disturbing the roots. 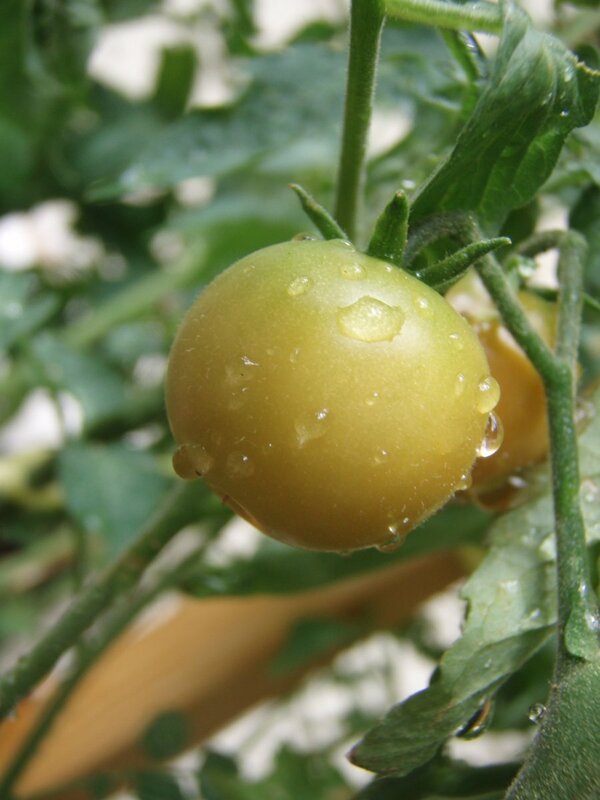 Plant the seeds directly in the ground when all danger of frost has passed and the soil warms up to 60 degrees Fahrenheit, which is necessary for seed germination. If the weather cools, spread black plastic on the planting area to help warm the soil, removing it as soon as the seedlings begin to appear. Plant seeds 1" deep, three seeds per hole. Plantings should be no closer than 7" and no farther than 15" apart. Seeds will germinate in approximately 10 days. Thin seedlings to one plant per 15" by cutting unwanted seedlings off at soil level. Water corn on a regular schedule using a soaker hose or drip irrigation that waters at the soil surface. Do not spray plants from above, or pollen may be washed away from the flowering tassels. Drought stress during pollination will result in ears with sparse kernels, so keep an eye on your watering schedule to ensure that the plants are getting enough water during the hot, summer months. Keep the bed free from weeds by mulching heavily around young stalks to prevent weed germination. When the stalks are 6 inches tall, side-dress by digging a trench along each row, near the roots, and adding blood meal or another nitrogen source to the trench. Repeat this process when the stalks are about a foot high. It is not necessary to remove side shoots or suckers. 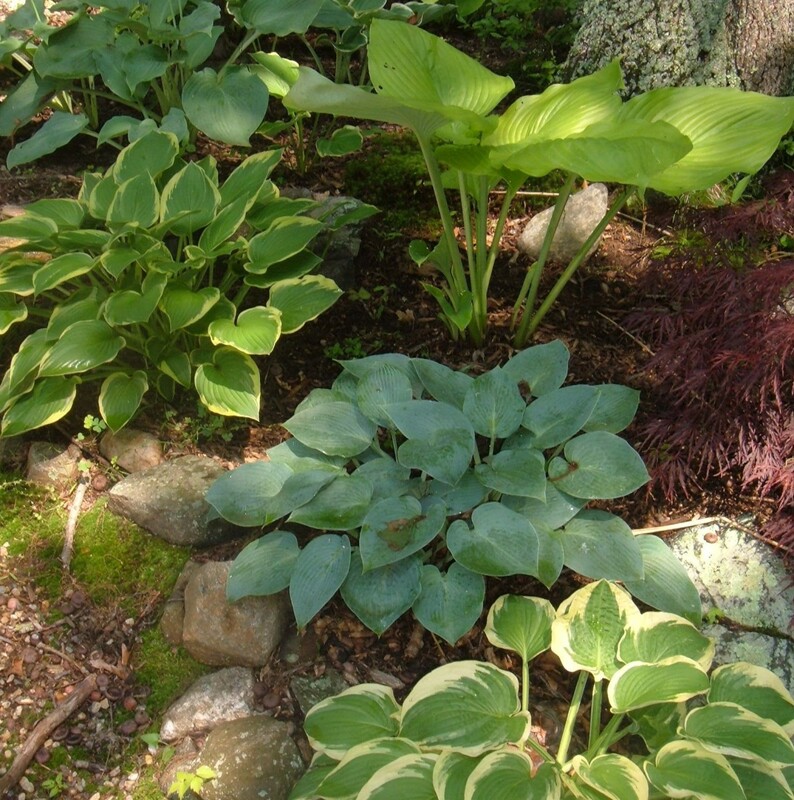 Leave them alone to avoid damaging roots or stalks. When corn silks appear, wait three weeks and then start checking ears for peak ripeness. Carefully peel back part of the husk and pierce a kernel with your thumbnail. If the kernel spurts with a milky liquid, the ears are at prime ripeness. Immediately harvest the ears and rush them to the table, or blanch in boiling water for one minute and store them in the freezer. Ears on the same stalk may ripen a few days apart, so test each ear before you pick it! Kids could actually say, "Mom, this veggie is too beautiful to eat!" the glass gem corn is so beautiful! Love it ! I've been itching to get my hands on some of this beautiful corn for a while now, but these days I'm living right next to the sea, and corn fares pretty miserably in our salty, foggy, cool summers. Still can't help but look... so pretty with those jewel-tones! Wow, this is a really interesting lense. Good job. Fabulous article. I so wish I had space to grow corn. There is nothing like watching a kid chomp on a fresh cob of corn. You provide great instructions here. Totally awesome Lens and Information, Mother Nature is really amazing. Beautiful corn :) Thanks for sharing on Wildcrafting Wednesday! Having grown up on a farm, it is hard to believe corn can look this good. SquidAngel Blessings. Although I have a good-sized garden, I've yet to attempt growing corn. Around here, raccoons are a major problem. Some people are successful using electric fences to keep them out, but I'm not ready to set that up yet. Enjoyed reading your article!